Anyone who knows me knows that I probably try out more streaming services than anyone else here at work. I was one of the first to subscribe to Apple Music, I have spent a respectable amount of time with Play Music, and the indigenous Wynk, Saavn and even Gaana. However, I kept coming back to Apple Music. Mostly because it was familiar, had a larger catalog of songs, and synced well between my MacBook Air and my OnePlus 5. So, when I decided to give Spotify a real try, I imagined it’d be an experience similar to what Play Music offered me. How very wrong I was, and how happy to be wrong about it. Spotify – Why are You Not Available in India? I would’ve tried Spotify a long time back, but for some reason the service isn’t available in India. So I had, for a very long time, stayed away from it. I still don’t understand why Spotify isn’t ready to launch in India. 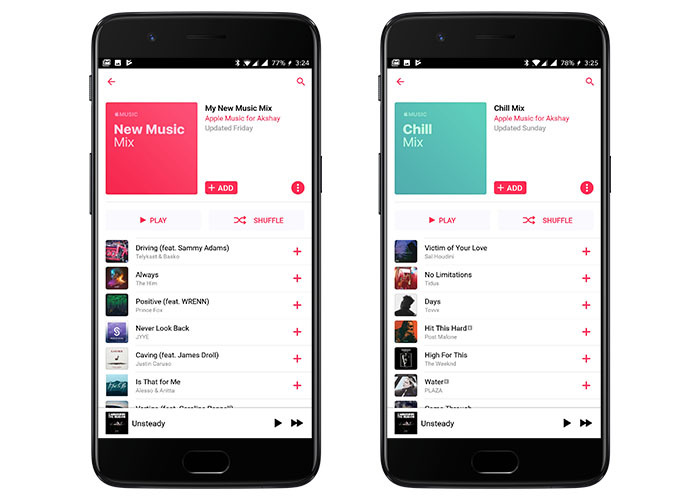 Apple Music, Play Music are already competing to get a chunk of India’s user base of 340 million internet users. Amazon Music is launching soon, but for some reason, Spotify still has no plans to launch the service here. I did email Spotify asking for a reason behind this choice, but as of now, I’m yet to hear back. The Spotify App is not available on the Play Store in India, obviously. But the good thing about using an Android device? Sideloading APKs. So I headed over to APKMirror and downloaded the Spotify APK to install on my phone. After spending a little bit of time playing with VPN apps — I tend to get distracted — I finally signed up on Spotify and was ready to start using it. 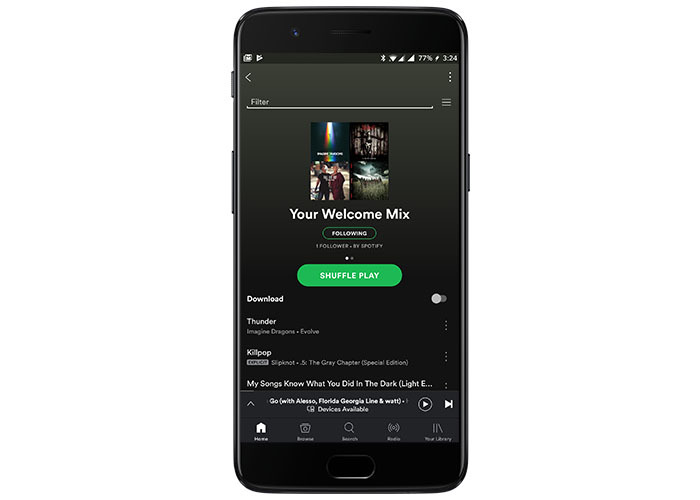 After I was done choosing the kind of artists I usually like listening to — which, by the way is a really boring task, but Spotify’s interface was by far the best I’ve used yet — the app came up with my very own, personalised ‘Welcome Playlist’. Before I go about telling you of the ‘Welcome Playlist’ Spotify came up with, let me preface a bit. Apple Music has been, so far, the music streaming service of choice for me. The weekly refreshed playlists it offers are usually good, and I find that I like at least 30-50% of the songs in them… not a very good score, I know, but way better than every other service available in India. So I had similar expectations from Spotify when I first pressed the play button on the Welcome Playlist, and song after song, I found myself adding music to my library, or clicking on the download button only to be rudely reminded that I can’t download music in the free tier. If I were to compare Spotify’s first attempt at personalising a playlist for me, against Apple Music’s (probably) 100th attempt at the same, Spotify beats Apple Music easily. A feat that is remarkable considering Spotify only had a limited data-set of my music tastes — one that I provided while setting up my account, whereas Apple Music has over a year of information on the kind of songs I listen to, the kind of songs I’ve marked ‘love’, and the kind of songs I’ve ‘disliked’. Spotify for Music Discovery, Apple Music for the Downloads! So, I’m currently using a very weird set-up of music streaming services. I’m using Spotify to discover new music everyday, while I’m downloading the songs on Apple Music. I’d have gladly subscribed to Spotify’s paid plans, but they’re just too expensive for me to even consider them right now. Maybe when Spotify launches in India, they’ll come up with some friendly plans, but until then, I’m sticking to the free tier, I’m paying ₹120 for Apple Music, and I’m getting the best of both worlds.